Kronborg gives the Danish kings unprecedented prosperity and influence. But wealth leads to corruption and a desire for more. The King’s greed forces him into war on all sides, steadily emptying the national treasure and the kingdom is left on the brink of bankruptcy. In The King’s absence you will have to search the castle on the hunt for money to save the nation. 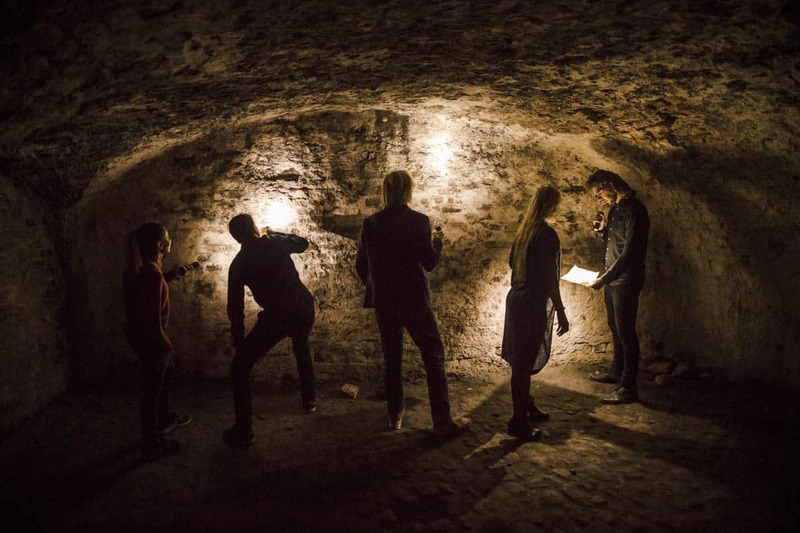 Can you trust each other, can you resist the temptations, and will you break the curse of Kronborg together? You will find your way through the castle by following hidden clues and solving puzzles. 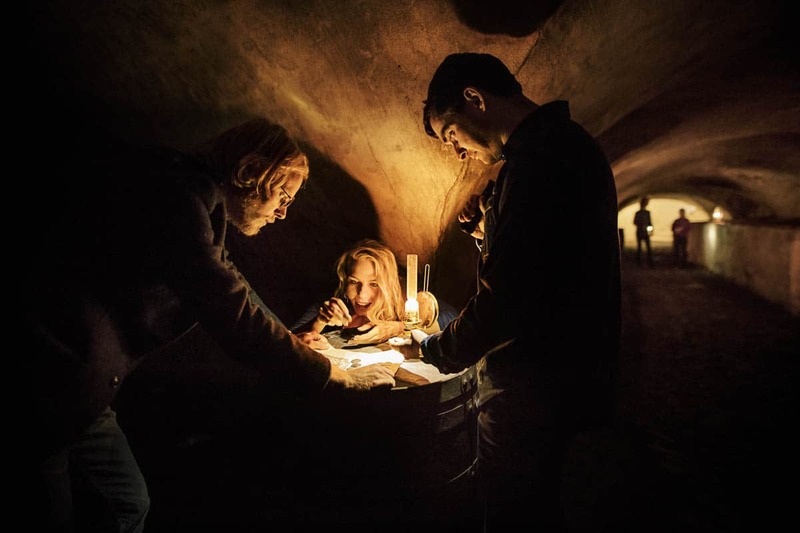 On your journey you will decent into the underworld of Kronborg, where you will decode secret messages in the light of lanterns. 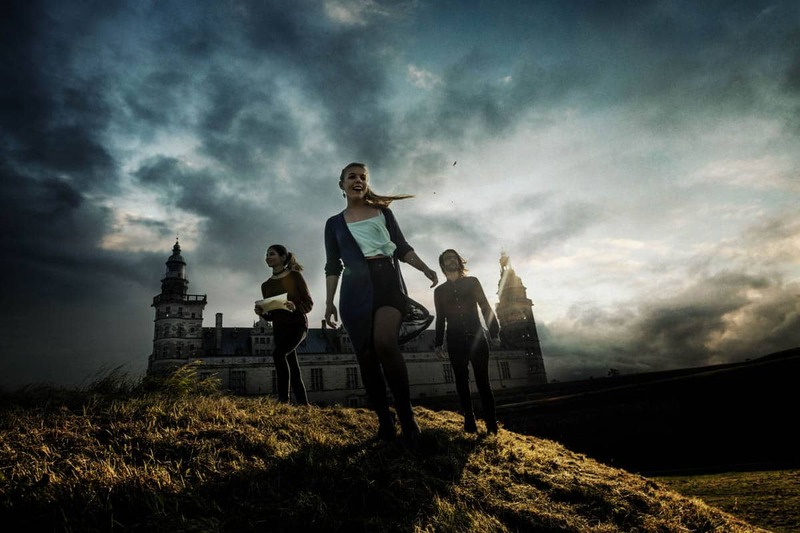 The Secret of Kronborg is presented in cooperation with the National Museum of Denmark. The Secret of Kronborg cannot be booked for bachelor/bachelorette parties. You need to make a booking in advance to try The Secret of Kronborg. 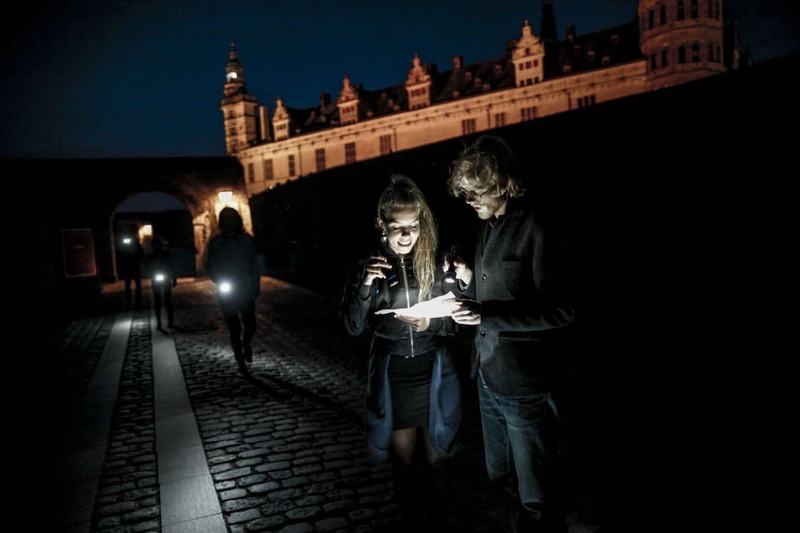 The Mystery Hunt will be given to your group when you show up at Kronborg Castle. 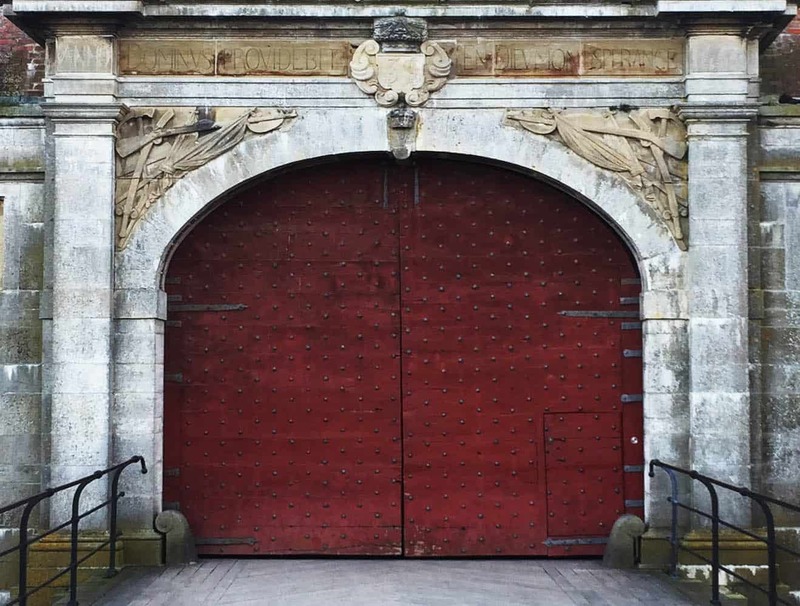 You must pay 75 DKK per person for entry into Kronborg Palace in addition to the price for The Secret of Kronborg. It is not allowed to be intoxicated or consume alcohol at the castle. Mystery Makers endeavour to provide our customers with the best possible products. If you, despite expectations, are not happy with the product, we will refund your payment, even if you have already started using the product. We offer this guarantee in up to 7 days after completion of the event. 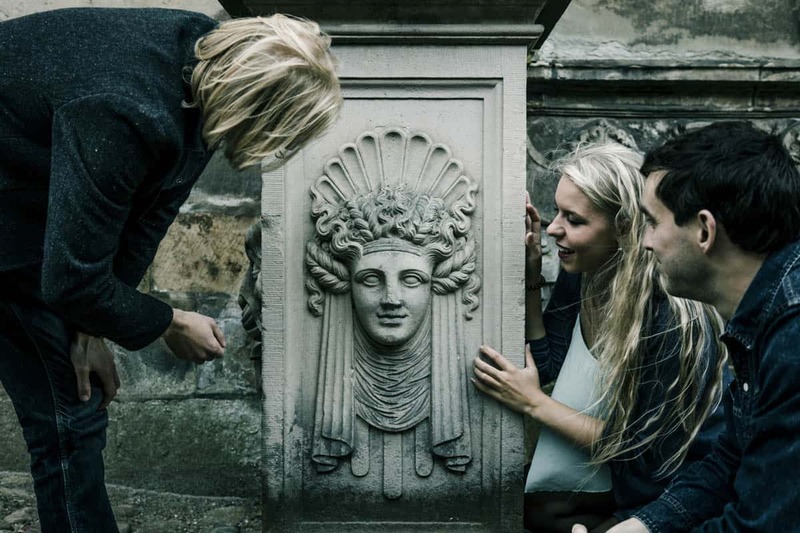 Try our scavenger hunt “The Secret of Kronborg” after the castle’s official opening hours. It’s a special experience, walking around the castle after dark. Kronborg will be open exclusively for Mystery Makers’ groups. If the Mystery Hunt surpasses the castles official opening hours, there will be an additional fee. Contact us by mail or phone at 30 80 30 50 to book a time slot outside the opening hours of Kronborg Castle. We recommend that children are at least 12 years old and accompanied by adults if they participate in our Mystery Hunt games. On Kronborg groups without adults have to be at least 15 years old, in order to walk around alone. Yes, The Secret of Kronborg is very suitable for companies that want an entertaining and different experience! Both the individual employee and your ability to work together will come into play. Contact us for more information at +45 3080 3050 or info@mysterymakers.dk. How much does the The Secret of Kronborg cost? You must be a minimum of 4 people for The Secret of Kronborg. Please note that The Secret of Kronborg is a live event and that bookings are binding.